Stanford researchers develop ultra-thin material that could be used for solar cells | West Coast Solar, Inc. Researchers at Stanford University have developed an ultra-thin, light-absorbing material that could be used to for a future generation of inexpensive photovoltaic (PV) solar cells. Many times thinner than a piece of paper, the new substance is made from many trillions of small gold dots only nanometers thick, which can absorb up to 99 percent of the light hitting its surface. In a news release, scientists described the discovery as a major step forward in an effort to create solar cells that use fewer, more efficient materials and convert more sunlight into electricity. 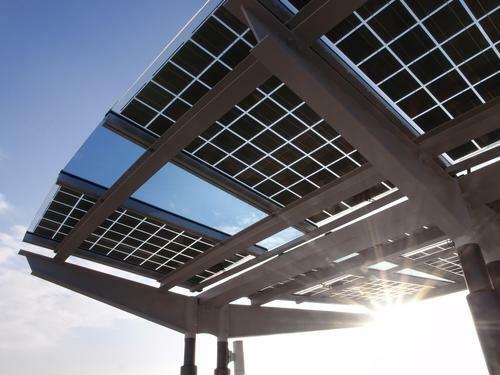 Given that one of the major obstacles toward wider integration of California solar PV into the nation’s energy infrastructure is cost, any advances that will reduce the prices of panels is a victory for the industry. The gold dots that absorb light are only 14 nanometers by 7 nanometers, which makes them three times thinner than any known light-absorbing materials. These developments are exciting to anyone who follows the solar energy industry, but it’s important to remember that solar power isn’t some futuristic technology unavailable to the average consumer. In fact, a solar energy solution can make your business more profitable and your home energy bills more affordable. Contact West Coast Solar today for more information.